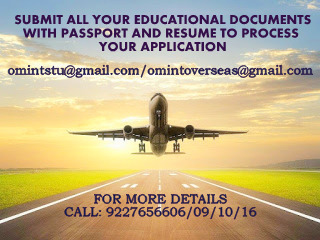 OM VISA Consultancy - Global Immigration, Students, Visitor, Business & Work VISA Consultants: COME TO STUDY IN USA AND GAIN THE kNOWLEDGE AND SKILLS TO SUCCEED IN YOUR CAREER AT USF , WITH THE HELP OF OM INTERNATIONAL THE LEADING VISA CONSULTANCY. COME TO STUDY IN USA AND GAIN THE kNOWLEDGE AND SKILLS TO SUCCEED IN YOUR CAREER AT USF , WITH THE HELP OF OM INTERNATIONAL THE LEADING VISA CONSULTANCY. • #1 Producer of Fulbright Scholars in the NATION! • #1 in Student Success (among 1,100 public research and doctoral universities according to the 2016 Eduventures Student Success Ratings. • #5 (public university) in the US and #11 in the world for number of US patents issued. Tuition Fee : $22,182 p.a. IELTS 6.5 or TOEFL 79 or PTE 53. Tuition Fee : $17,324 p.a.